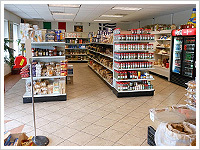 For over 45 years, Pellegrino Importing Company has provided specialty Italian and Greek food and products to the Capital District. Come try our legendary homeade sausage, gourmet subs and sandwiches, take-out dinners, and full range of catering services. Pellegrino’s is the largest seller of genuine Boar’s Head deli products. 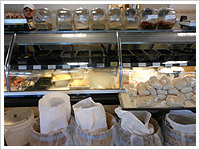 We also provide those hard to find meats and cheeses, as well as a wide range of gourmet olives. Stop in to Pellegrino’s today–where we treat you like family, and not just another customer!